The author of Introducing the Richest Family in America has also written a number of nonfiction books, in addition to many magazine and newspaper articles, artist’s books, and one book of poetry. David Drum's diverse background includes work as a sports editor, a craps dealer, a ranch foreman, a construction worker, a Hollywood prop assistant, an encyclopedia salesman, an inner city schoolteacher, a funeral director, and an advertising copywriter. A member of the Authors Guild, he has also been the president of the Independent Writers of Southern California, and a county chairman for two political campaigns. Seven nonfiction trade books written or co-written by David Drum include Alternative Therapies for Managing Diabetes, What Your Doctor May NOT Tell you about Fibroids, The Chronic Pain Management Sourcebook, and Failure to Atone: The True Story of a Jungle Surgeon in Vietnam. Facade, a bunch of poems, was published by Michael Lally's O Press in New York in 1976. His work was included in the poetry anthology None of the Above: New Poets of the 1970s, published by Crossing Press. 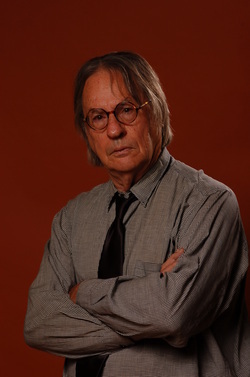 A freelance journalist since 1978, Drum’s articles have appeared in People, Men’s Health, People, USA Today, the Los Angeles Times Magazine, Los Angeles Lawyer, and The San Francisco Chronicle. Articles ghostwritten by David Drum have appeared in Barron's, the New England Journal of Medicine, and California Lawyer. As a commercial writer, Drum has written speeches, museum shows, website copy, advertisements, corporate videos, and more. Artist’s books by David Drum are included in collections such as the Museum of Modern Art Library in New York, the Samuel Paley Library at Temple University in Philadelphia, the Brooklyn Museum of Art, the Poetry Store at University College London, and the John D. Rockefeller Library at Brown University. A native of Wichita, Kansas, David Drum received an MFA from the Writer’s workshop at the University of Iowa in Iowa City, a BA from the University of California at Riverside., and an AA from Brevard College. Post-graduate work in art, education, and business. Mr. Drum currently resides in Los Angeles.